Pineapples are so popular right now. 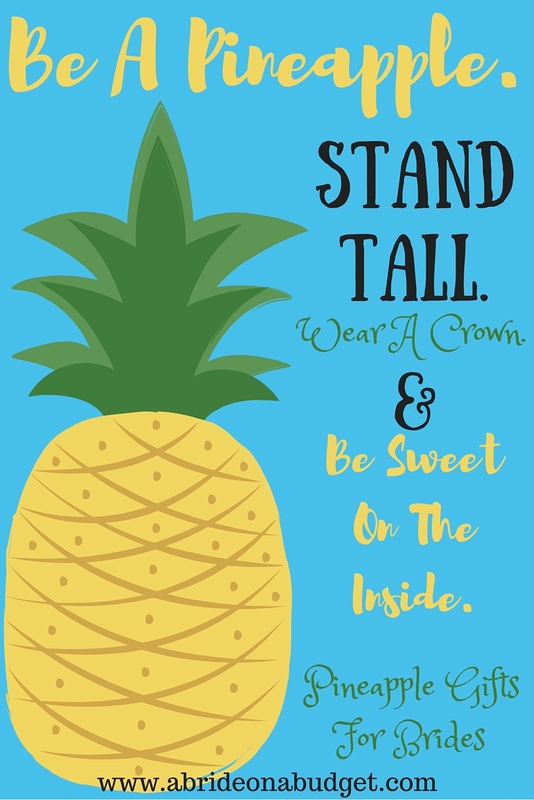 All of a sudden, people everywhere are posting: Be a pineapple. Stand tall, wear a crown, and be sweet on the inside. 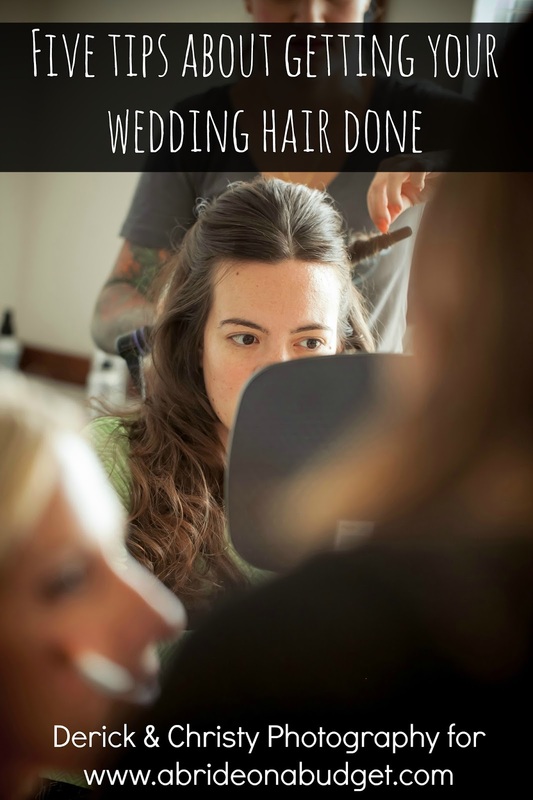 It's pretty sound advice, especially when you're wedding planning. So, of course, I had to jump on the trend. I put together a list of my favorite pineapple gifts for brides. A few of these aren't specifically for brides (like the pineapple tank top), so I'm buying that one for myself. 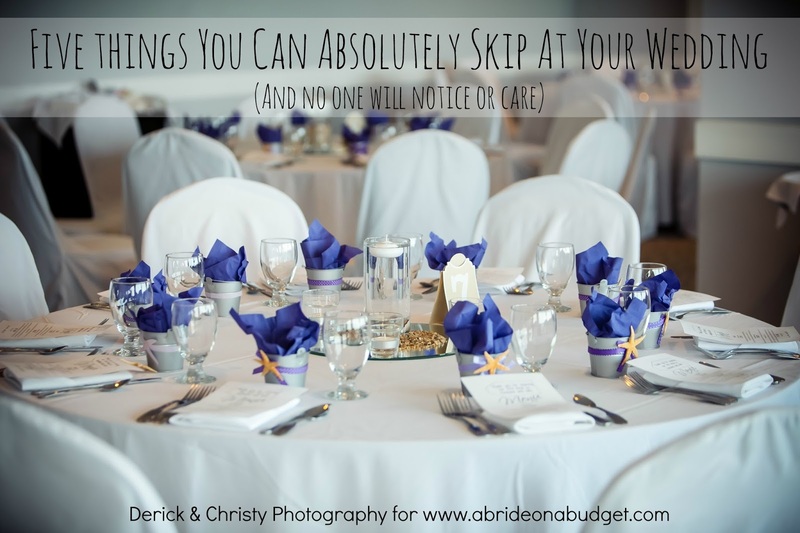 And if you grab something for yourself, don't worry: I won't tell your bride. I love trucker hats. I have a whole box of hats somewhere, including a trucker hat with a truck on it. Yeah, I'm that cool. 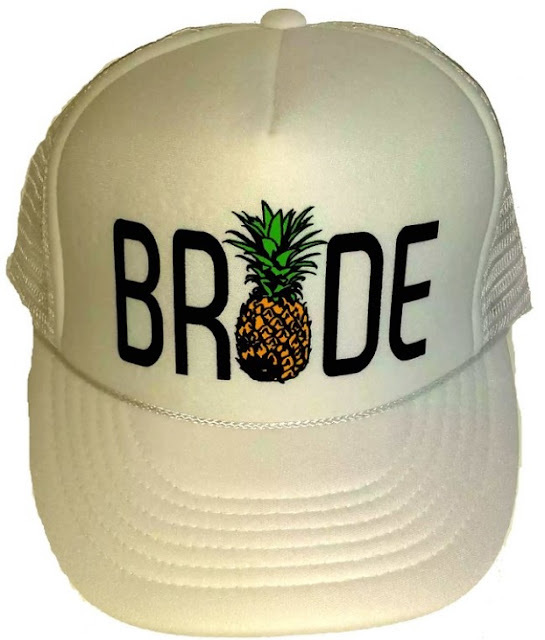 If you like trucker hats, you'll love this bride tribe pineapple trucker hat. The "i" in bride and tribe is a pineapple, which is cute. 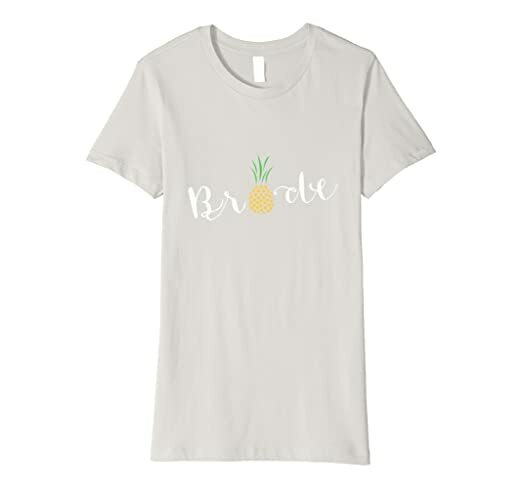 The bride and her bridesmaids can wear these during her bachelorette party, rock the pineapple, and keep from getting completely sunburned while being completely trendy. Sounds perfect. This is top I'm going to pick up for myself because it's so cute and summery. I know your bride would love this pineapple sleeveless shirt. Heck, I know you would too. This pineapple bracelet is such a cute piece of jewelry that your bride can wear all through wedding planning ... and then after. 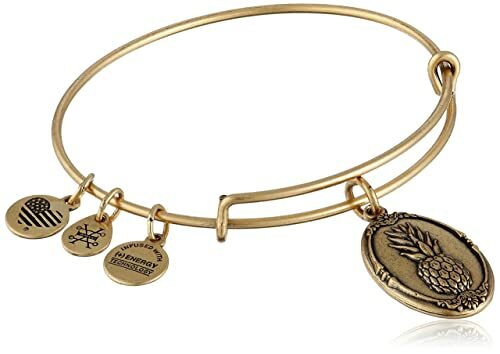 It's Alex and Ani, which is the brand I gave to my bridesmaids. It'll hold up really well, and, when she's planning and getting frustrated, this will remind her to stand strong. I'm a big fan of bride shirts, especially for destination weddings. It's a fun way to be a bride all trip long. 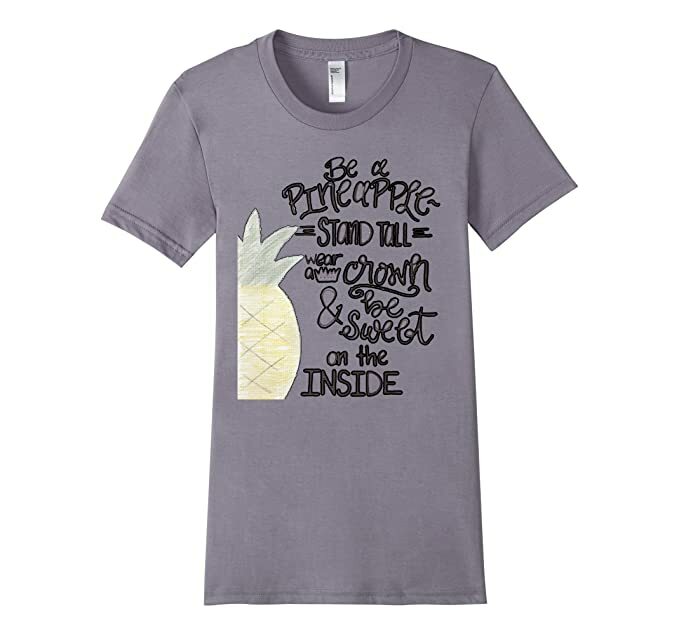 This pineapple bride t-shirt is perfect for that. Plus, the pineapple is the "i" and that's so cute to me. If you're throwing a bachelorette party for your bride, this shirt is perfect for her to wear then too. Brides need to stay hydrated. It's definitely something I kept in mind all through wedding planning. 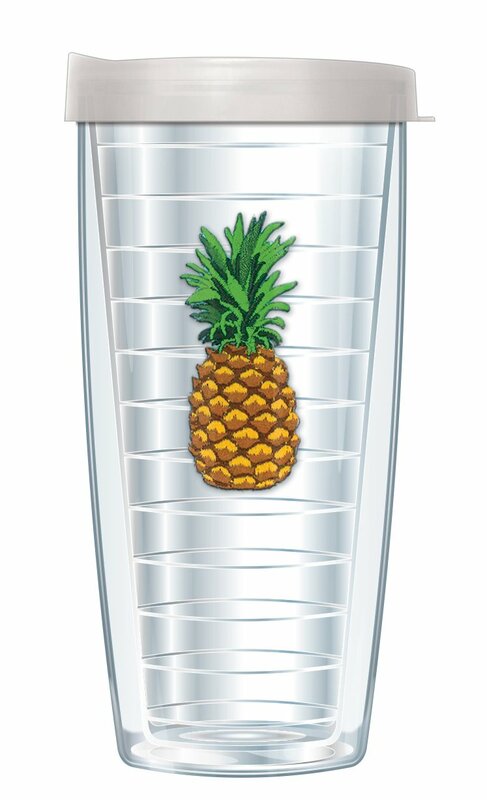 Who wouldn't want to do it in a pineapple tumbler cup? 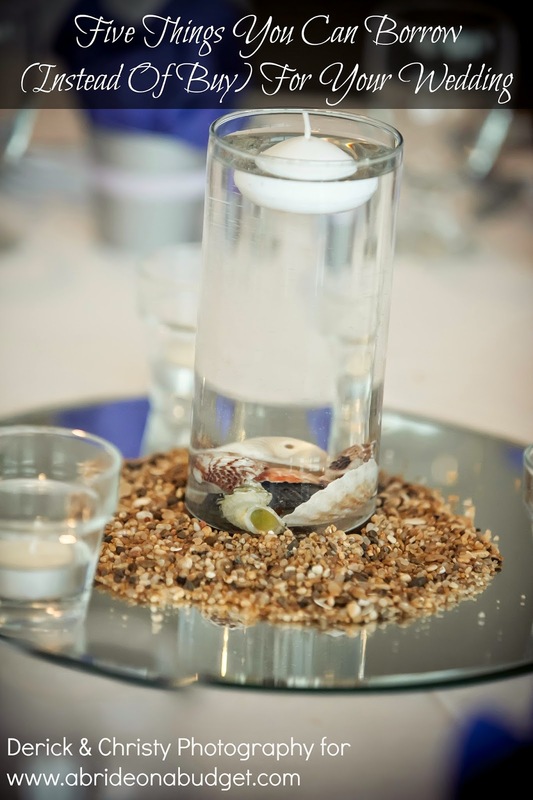 The double wall is a great insulator too, so the bride's drinks will stay cold even after she pours it, answers a few wedding phone calls that are unscheduled, and then gets back to sip it. I'm a big fan of giving thank you cards to a bride so she has them handy. It was so convenient for me when we received a gift out of the blue (which happened quite a bit, actually). 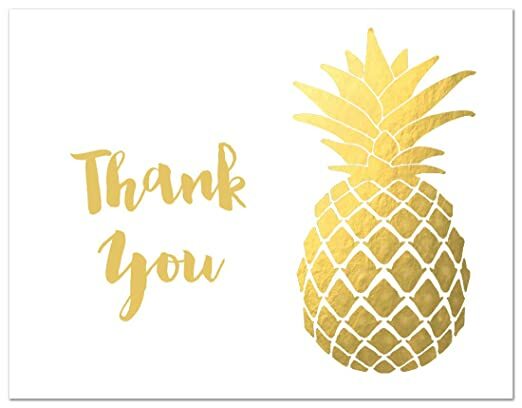 So, for your bride, pick her up these pineapple thank you cards. They're cute and perfectly match that bride to be cake topper from before. Of course, I had to include this Be A Pineapple. Stand Tall. Wear A Crown And Be Sweet On The Inside t-shirt because, really, without this quote there would be no post. You can pick it up in a couple colors, but I like gray the best. It makes the pineapple stand out ... and isn't that what being a pineapple is all about? I love elastic hair ties. They really hold my hair back well and don't snap like regular elastics do. Eventually, the elastic hair ties will stretch, but eventually a traditional hair tie will snap. I really love these Party Like A Pineapple hair ties. They're so glittery and have a pineapple. So cute! Robes are still really popular for wedding photos. 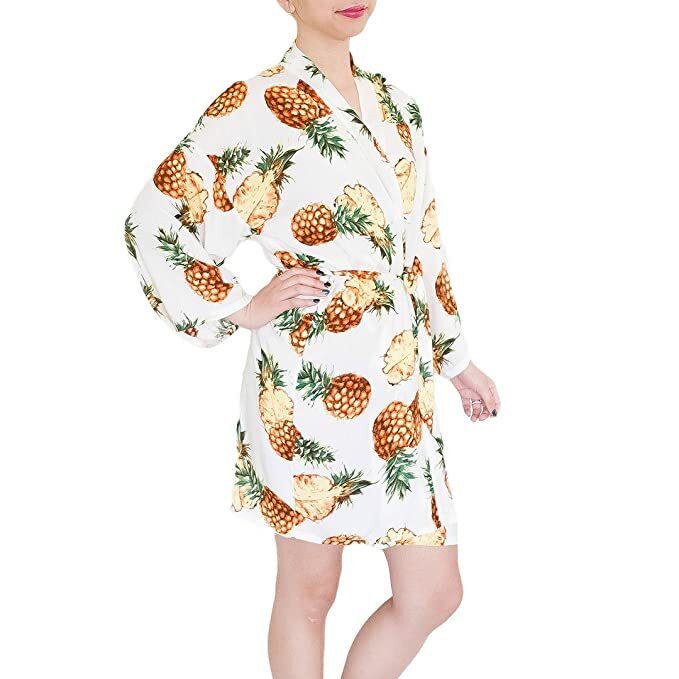 This Pineapple Robe is perfect for just that. You can get it in navy, pink, or white, but white is perfect for a bride-to-be. 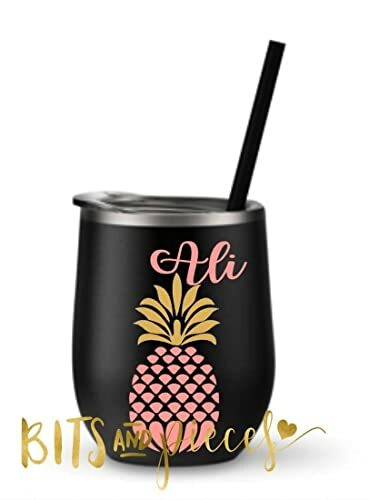 I love personalized gifts, so of course, I love this Personalized Pineapple Mug. What's great it's really customizable. You can choose the color of the tumbler, the text, and you can choose the font too. Since it's completely custom, it does take a little longer than usual to make, so be sure to order it early. 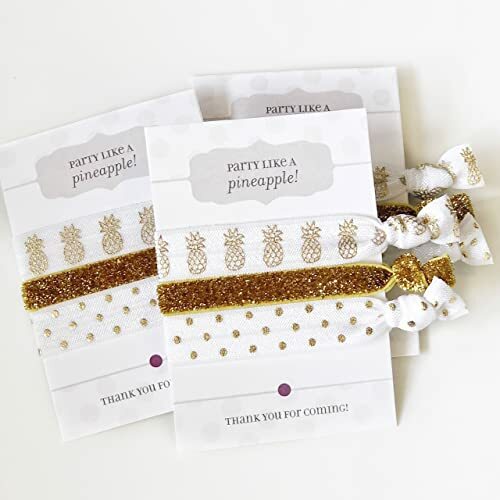 BRIDAL BABBLE: Which of these pineapple gifts for brides do you like best?